Will Cheap Gas Destroy My Engine? With high gas prices, frequent trips to the pump are going to empty your wallet faster than you can imagine. Ten years ago, being picky about gas was only for penny pinchers. Today’s prices are forcing even the most liberal of spenders to think about ways that they can maximize their gasoline. Many people have for years assumed that if you buy gas when it’s cooler outside, it increases the density of the gas that goes into your tank. While it’s true that liquids are more dense when they are cooler, it’s unlikely that the lower temperatures will affect your gasoline. The reason that it won’t change the density of your gas is that gas stations keep the gas in huge storage tanks, a few feet underground. The underground temperature will likely remain similar year round, meaning that the gas won’t be any denser at three o’clock in the morning than it is at three in the afternoon. In order to get the most possible gas, you need to top off your tank, right? Filling your tank all the way to the top can actually lose your more gas than it’s saving you. 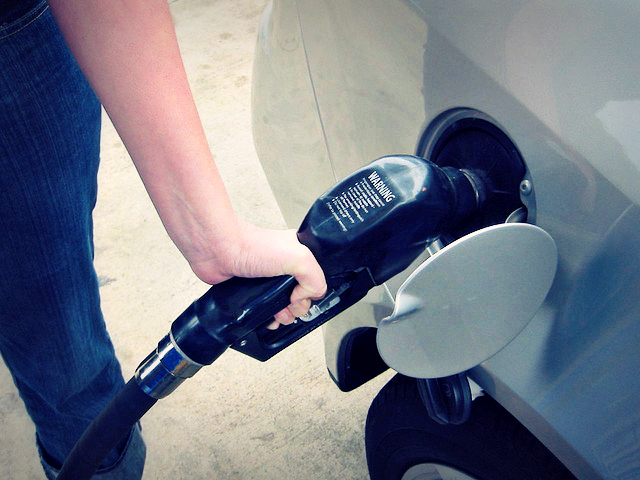 Once your tank is completely full, the pump will automatically stop. If you try to put in additional gas, it will end up going into the station’s vapor recovery system, and it will end up going back to the gas station. You’re paying for gas that you won’t end up actually using. Don’t top off your tank. The myth is that keeping your tailgate up while driving will create drag and resistance, which causes your gas mileage to go down. This is most definitely a myth. Car manufacturers have shown that the air will travel up and over the cab, and will carry all the way over the bed of the truck. If you lower the tailgate, the airflow isn’t the same and can potentially make your gas mileage worse than it would be. Upper end gas companies, like Chevron, pride themselves in providing quality gas. They make you pay for it, too. Drive down the road and you’ll see a Ma & Pa corner gas station where all the locals get together, have a Coke and get the cheapest gas in the city. The first inclination that many of us have, is that it’s awesome to have a place that sells us cheap gasoline. The second thought is usually something involving the poor quality of the gas. The truth of the matter is that the cheaper gas won’t hurt your engine, but it’s not going to give you better gas mileage like the top of the line gas does. Auto stores across the country have shelves full magic additives that guarantee to improve your gas mileage. I’m not sure if anyone still believes that fuel additives will do what they promise to do, but in case you don’t know, they don’t improve anything. These gas-saving products are such a bad scam, that the federal government has actually warned against them. The idea of the product is very appealing, but unfortunately they don’t work. There are plenty of ways that you can get the most out of your tank of gas. Defensive driving techniques like slower speeds will help you save gas, as well as some of the things previously mentioned, in this article. In addition to everything that you’ve read here, there are many other things that you can do that will help you increase your gas mileage. Do your research, and start saving some money.